Our first full day in Seville was quite a busy one! In the morning, we visited the Seville Cathedral (part 5), and around lunchtime we visited the Real Alcázar (part 6). After that visit, we were quite exhausted, but there was at least one more “must see” location in Seville: the Plaza de España! 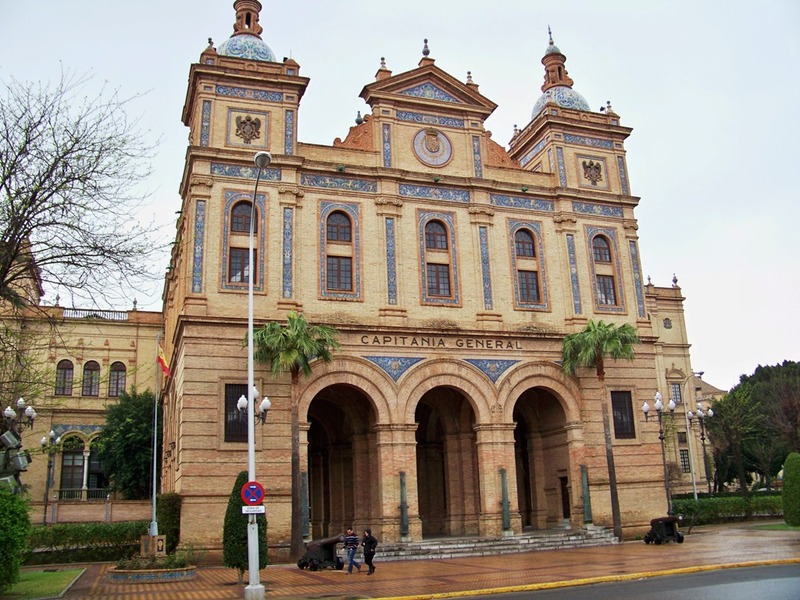 Madrid also has a Plaza de España*, but Seville’s is in a completely different league, as we will see. The Plaza was a bit of a walk from the Cathedral and the Alcázar, and we were pretty exhausted, so we stopped along the way first to grab some lunch. I didn’t get a photo of that day’s meal, but this is nevertheless a good place to share a photo of the previous evening’s dinner. A tapas dinner in Seville. 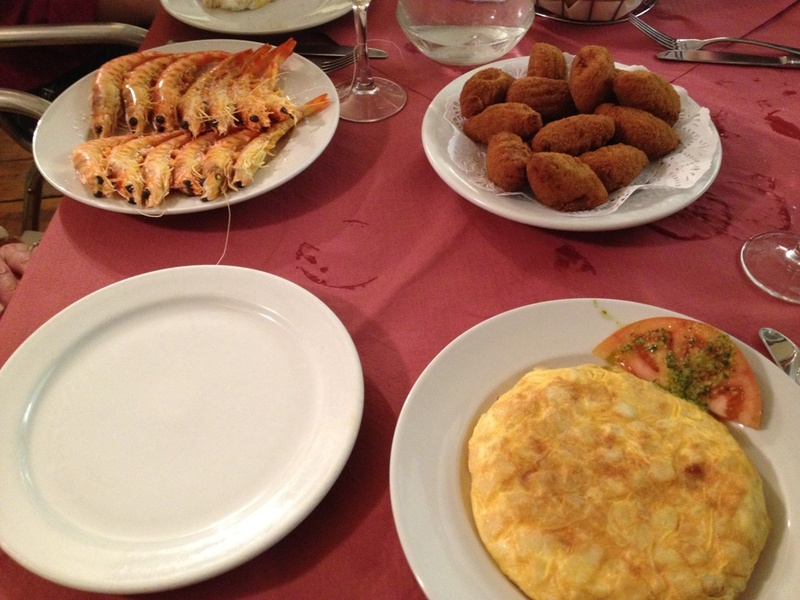 The upper left corner is a plate of prawns (niece-in-law #2 was appalled by the huge eyes on them), and the other two plates are traditional Spanish tapas: croquetas on the top and a Spanish tortilla on the bottom. I loved both of these plates and ate them almost every day, eventually burning out on them by the end of the trip! Once we had eaten lunch (and waited for a sudden rainstorm to pass us by), we continued on our journey to the Plaza. Along the way we passed the main building of the venerable Universidad de Sevilla (University of Seville). 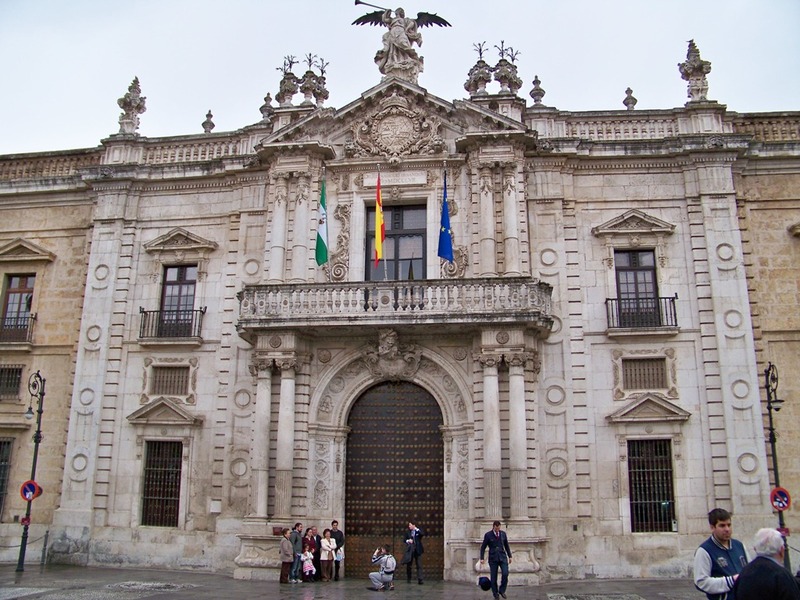 Main building of the University of Seville. The university has been in existence for over five centuries, having been founded in 1505 as the Colegio de Santa Mari­a de Jesus. Though not quite as old, the main building has a history of its own: it was constructed in the 18th century as the Royal Tobacco Factory, and at one time thousands of cigarreras (cigar girls) hand-rolled some three-quarters of Europe’s cigars. The cigar girls were regarded as passionate and morally flexible, and their reputation inspired both the 1845 novella Carmen by Prosper Mérimée and Georges Bizet’s more famous 1875 opera adaptation of it. Many traces of the factory have been preserved, including the old crest above the main entrance and signs on the surrounding walls. 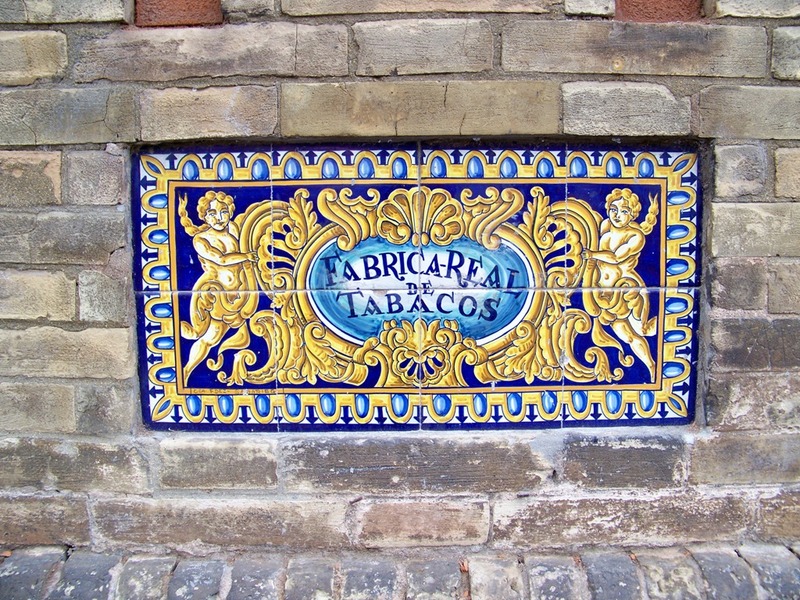 Sign of the old Royal Tobacco Factory, on the wall surrounding the main building of the University of Seville. The rain picked up again, and we hurried along to the Plaza de España, ducking under any shelter we could find along the way. Niece in law #1 (who is the one doing a semester in Granada, and motivated the entire trip) assured us that the sights would be worth the wet! We came upon the plaza from the back side, which looked impressive but not necessarily spectacular. Rear of the Plaza de España. This side of the building is apparently being used as a government or police building of some sort; when we approached the doors an armed officer shooed us away! Circling around, we passed through a dark entryway and, at last, entered the Plaza de España proper. First view of the Plaza de España. View of the Plaza de España from the central fountain. The building was designed by the Spanish architect Don Aníbal González, and housed exhibits highlighting Spain’s achievements, including the “Salón del Descumbrimento de América”, which contained documents pertaining to the Spanish discovery of America. Another view of the Plaza de España. 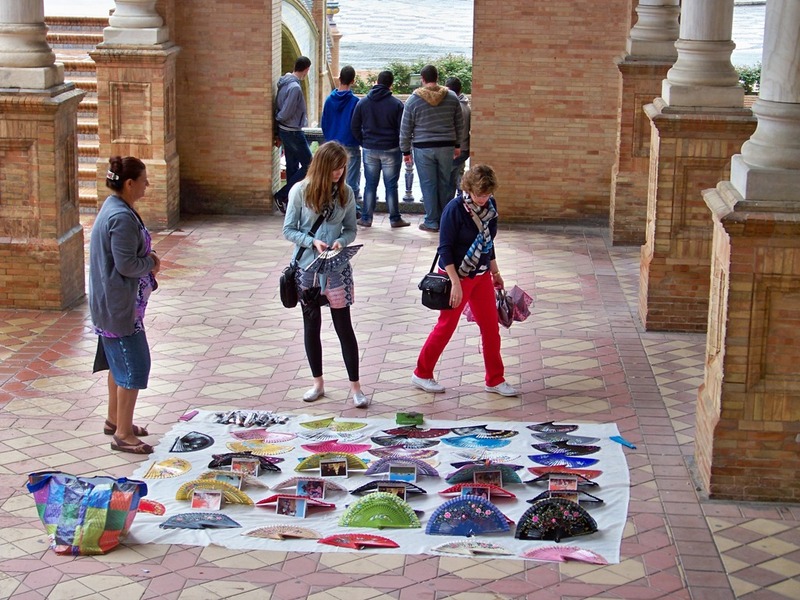 The plaza is lined with many alcoves, each of which represents a different province of Spain. 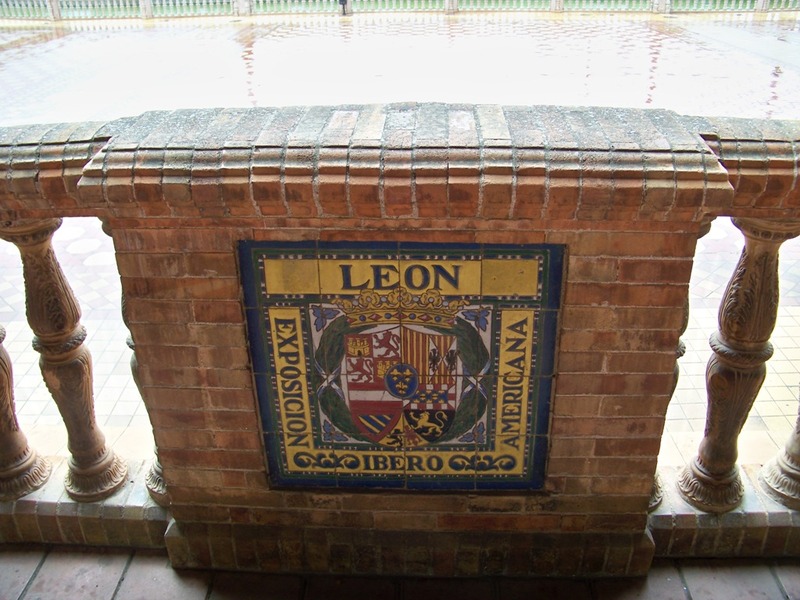 Sign above the alcove for the province of Leon. The rain started coming down hard again while we toured the Plaza; NIL #2 and my wife took the opportunity to look at the Spanish fans being sold by street vendors. Fan shopping at the Plaza. I took countless pictures of the Plaza! I could fill this post with another dozen, but I’ll end the discussion of the Plaza with just another two. One other odd thing is worth mentioning, spotted by my eagle-eyed wife: you can see the Plaza used as a presidential palace in the upcoming Sasha Baron Cohen film, “The Dictator“. After our exploration of the Plaza, we were pretty much exhausted — we’d seen three major landmarks over the course of a single day! 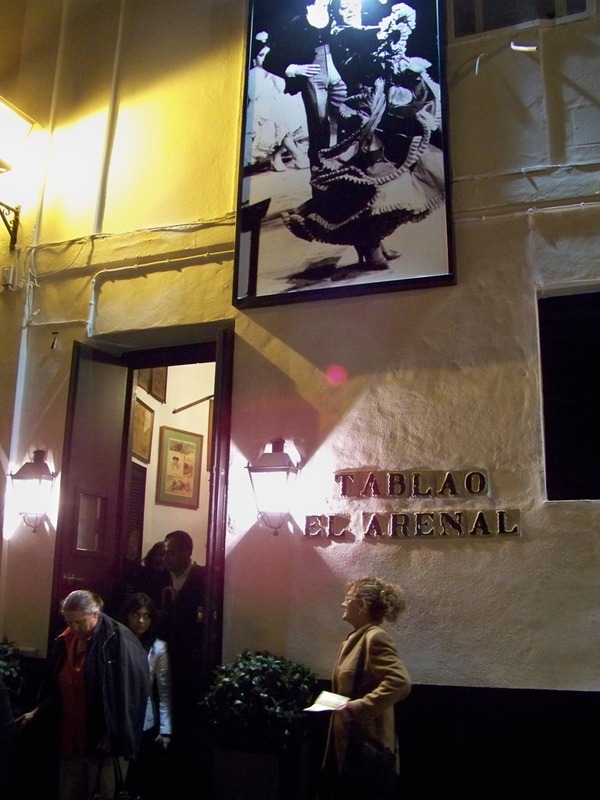 We took taxis back to the hotel and rested up for the evening; we had dinner and a show scheduled at Tablao de Arenal, one of the authentic Flamenco shows in Seville. It took us a little time to find the restaurant, which is somewhat hidden in the winding streets of Seville’s old town! Entrance to the Tablao el Arenal. Flamenco is one of those curious cultural phenomena whose origins are unclear — in fact, the origins of the term “Flamenco” are also unclear! In any case, the dancing is amazing and quite powerful, and we really enjoyed the show at the Tablao el Arenal, which was recommended to us by our hotel concierge Enrique and seems to be highly regarded in travel guides. Unfortunately, they did not allow any photography of the dancing! (Though I saw at least one flash go off during the performance.) Some things are best left to personal experience, anyway. 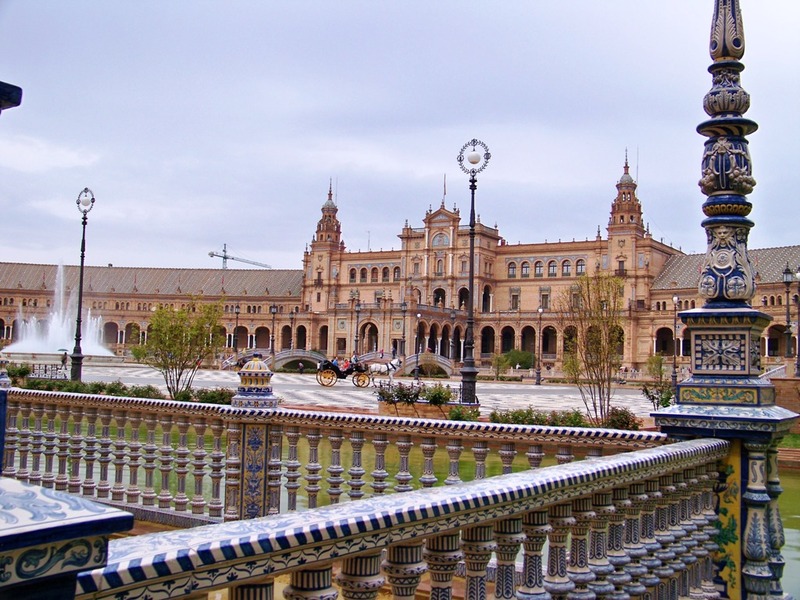 * Madrid’s Plaza de España was shown in part 1; I wouldn’t be surprised if every Spanish city has one! Seville is onf the most beautiful places in Spain!! !